Band is a multifunctional seamless tubular accessory ideal for many activities. It can be worn as a neckerchief, headband, wristband, mask, hairband, scarf, bandana and in other ways. 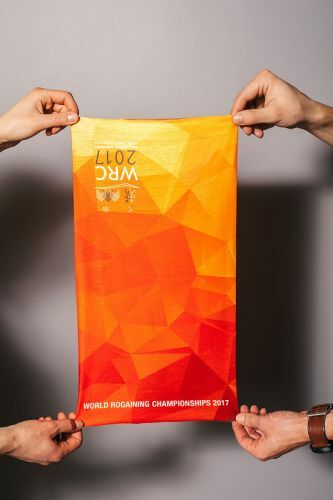 World Rogaining Championships 2017 Band is made from fast drying, lightweight and durable polyester fabric. Designed to keep you warm in the cold, bands will also wick moisture (sweat) away from your skin to keep you cool when it is hot. The lightweight, breathable, microfibre fabric is extremely comfortable to wear.